The nature has blesses Chile and his people with a little bit of everything in the world, and it is here, in the center of the country, where you can be find much of its diversity without the need to travel far away. 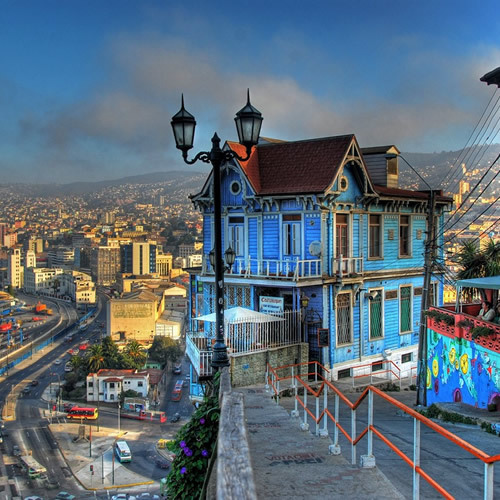 Near to the capital, visitors can find wine-growing valleys, ski resorts, beaches and the port of Valparaiso with its abundant cultural heritage. 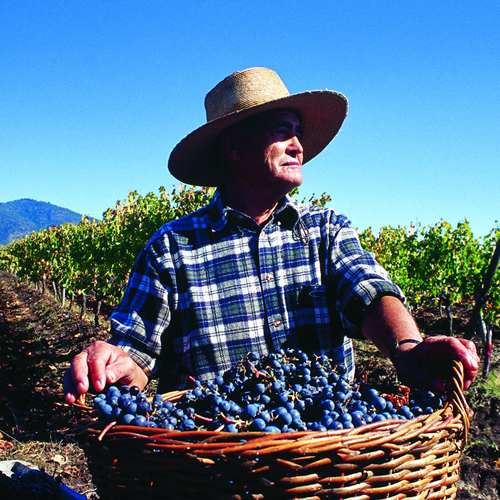 All year round, especially during March and April, when visitors can enjoy the vintage activities in the Wine Valley of Chile. Dressing in layers is highly recommended. If you visit Chile in summer (December to March) you will need light clothing - shorts, T-shirts, sandals, bathing suit and thin sweaters. However it is always useful to have a thick coat or sweater, as there can be cold periods. Wear a jacket or sweatshirt, sweaters, long underwear and warm socks during the winter months. Lip balm, sun-screen and sun glasses. La Sebastiana Museum (Valparaíso) - Plaza Sotomayor (Valparaíso) - Ascensor El Peral (Valparaíso) - Ascensor Concepción (Valparaíso) - Archeological and Historical Francisco Fonck Museum (Viña del Mar) - Wullf Castle (Viña del Mar) - Colchagua Museum (Santa Cruz) among many others. Our tour will start at the Prat Pier. Passing through Sotomayor Square, we wil observe the Monument to the Heroes of Iquique, and historical buildings that surround the square. After we will take the El Peral elevator, one of the fifteen that still operate in the city and that leads to the Yugoslavo walk and the typical zone of Cerro Alegre. Then we will visit the Cerro Concepcion, known for his rich architecture and the Gervasoni and Atkinson walks. Finally, we return to the plane of Valparaiso to get on a trolley to the Aduana Square, take the Artilleria elevator and arrive at Paseo 21 de Mayo. Departure from Santiago towards to Isla Negra. This place of dark sands, eucalyptus and pine trees, once captivated the poet Pablo Neruda; winner of the Nobel Prize of Literature in the year 1971. Here he built a beautiful house that today is open to the public as a museum. Pablo Neruda decorated each corner of the house with sculptures, paintings, and books all related to the sea. We will enjoy some time at our leisure to see the house and garden. 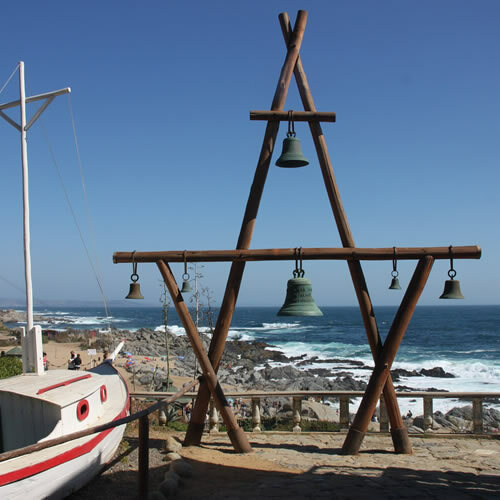 After touring the museum house and garden, we will visit the Algarrobo beach and the coastline. 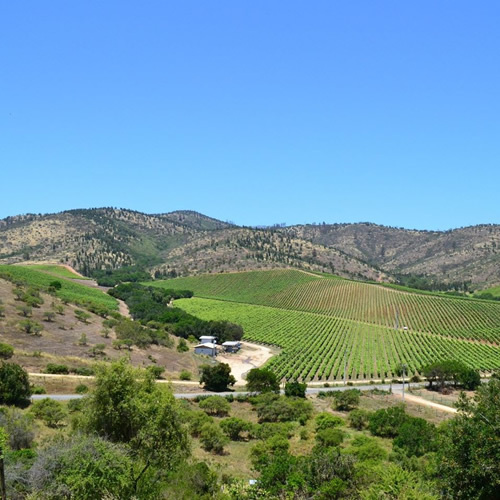 Next, we will continue to the Casablanca Valley to visit one of its vineyards. Here we will get a closer look at the winemaking process and have a taste of its main wine. Finally, we return to Santiago. Departure from Santiago to Casablanca Valley, the second wine valley closest to the capital. This is one of the most important wine-producing valleys. Its weather conditions, specially the shelter offered by the valley and the sea breeze, allow the production of white premium Chilean wines. During our trip we will visit two vineyards visits include the presence of a specialist to guide our tour, explaining in detail the operation of the processing plants, wine cellars, and the qualities of the different varieties of fine wines we can taste. Departure from Santiago to Colchagua Valley, known for being one of the most fertile in the production of fine strains of wine, especially reds. We will start our tour with a visit to a vineyard where we will also have wine tasting included. We will continue with a visit to Colchagua Museum, this museum is one of the most biggest and diverse of Latin America due to its collections that show the history of the planet and the universal man. Later, we will visit Santa Cruz winery, located 25 kms from Santa Cruz, in direction to Lolol. Here we will make an interesting visit to the vineyards and tasting its wine icon, Chaman. We will also have the opportunity to ride the cable car to observe the indigenous villages where the Aymara, Rapa Nui and Mapuche Cultures have been recreated.